Can't stay out late but still want to bring in the New Year with a Laugh? We have 2 great packages for you. 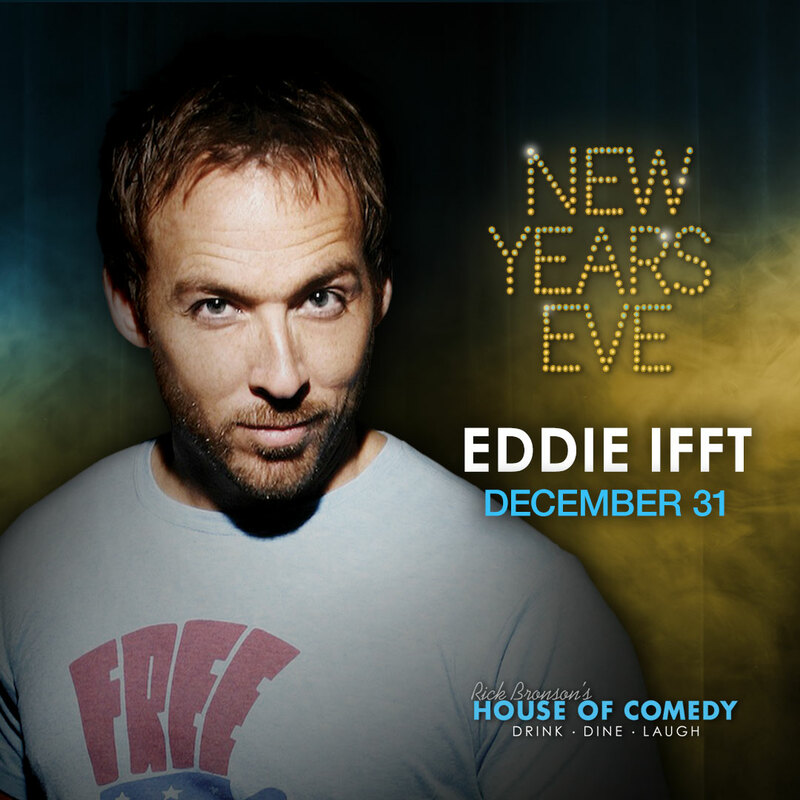 Come see Eddie Ifft our headliner with the show only option. We also have the NYE Buffet Package that includes the show and access to our Buffet of Roast Beef, Roasted Turkey, Mashed Potatoes, Steamed Vegatables, 2 Salads, Pickle Assorment and Desserts.